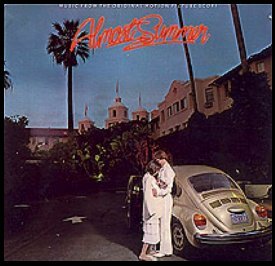 Discuss, review, and rate Almost Summer: Music from the Original Motion Picture Score, released May 8, 1978. 4 good songs on side 1.. maybe total of 5-6 total .. half a really good record.. Almost Summer should have been a BB track and it would have been a much bigger hit. Another chance for hit squashed by arguing + lack of togetherness..
Crazy that Almost Summer did get some radio play...yes, it shoulda been a beach boys record...I think Mike did what Dennis did, and that was to take some songs and go out on his own project and not share with the Boys. So Mike shouldn't complain about Dennis' solo career (during that time). Sad Sad Summer, Almost Summer, and Cruisin would all be welcome additions on the Lught Album. Powered by SMF 1.1.21 | SMF © 2015, Simple Machines Page created in 0.272 seconds with 24 queries.